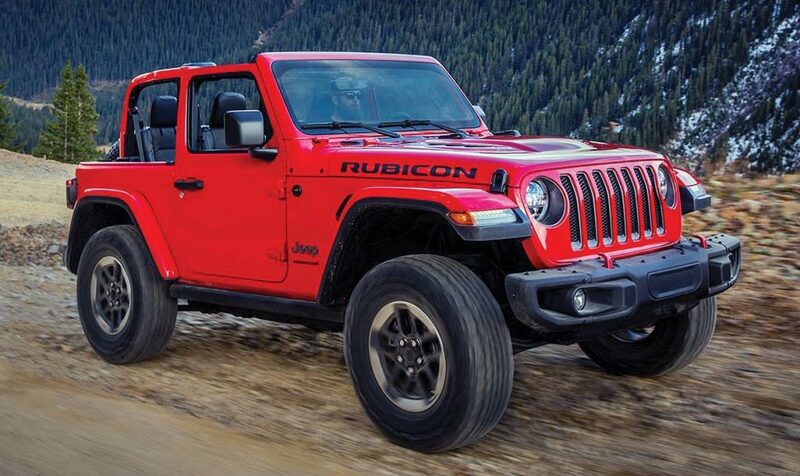 The Sleuth’s prognosticators were mostly correct when months ago they passed along intel concerning the next-generation Jeep off-roader (referred to as the JL). Still, it will be reassuring to legions of Wrangler fanatics that, following the recent reveal, both the two- and four-door versions look about the same as before. In fact, with some subtle changes in grille, windshield angle and bodywork, the new Wrangler actually manages to look better. Also improved is a one-piece zipperless soft top that easily folds for fun-in-the-sun enjoyment. For the first time, a power-folding top will be available on certain models. The Jeep’s 3.6-liter V-6 engine carries over, but the expected turbocharged 2.0-liter four-cylinder option that arrives by mid-2018 will include an electric-motor assist (a.k.a. mild hybrid) to improve performance and fuel efficiency. Also, a V-6 turbo-diesel option will be added later in 2018, but only for four-door Wranglers. Note that the Unlimited name has been dropped for that model.